Garfield Park Conservatory, located in the Garfield Park neighborhood, is one of the largest greenhouse conservatories in the United States. The conservatory occupies almost two acres where thousands of plant species are on display throughout this magnificent facility. After spending a few hours wandering, you can easily forget the potential subzero temperatures that await outside. In here, it is pretty much summer all year round! BONUS! 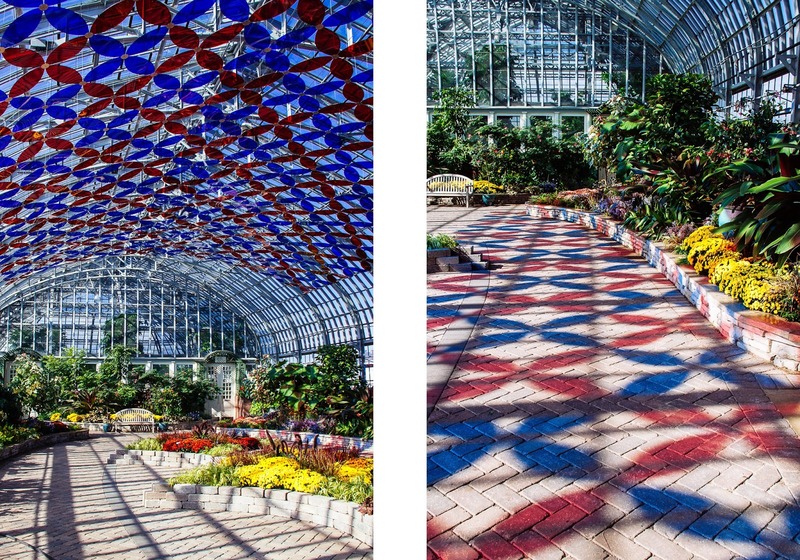 Going on now through September 2016, the conservatory is hosting the art installation, "solarise: a sea of all colors." It is an interactive exhibit that captures the relationship between light and plants. Have you visited the Garfield Park Conservatory? What is your favorite photo from the Conservatory?